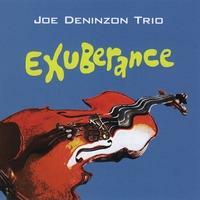 Review: "Joe Deninzon Trio: Exuberance" - Sea of Tranquility - The Web Destination for Progressive Music! Even listeners familiar with progressive seven-string violinist Joe Deninzon might be surprised when the first two tracks from Exuberance � the latest album to feature his instrumental trio � spill out of their speakers. Steely Dan's "Bodhisattva" and Alice In Chain's "Heaven Beside You" subtly echo the originals, but Deninzon, bassist Bob Bowen and guitarist Steve Benson make them their own by embracing the musical nuances of both songs. Sans vocals, these pieces give off pleasures both new and odd. On the other hand, the trio underwhelms with its low-key take on "Wichita Lineman" (which remains a beautiful song, regardless of who performs it and how). There also are covers of "Nuages" by the trio's major influence Django Reinhardt, as well "The Tourist" by Radiohead and Chopin's "Nocturne in Eb Op. 9 No. 2." Several originals stack up well next to the other artists' material, with Deninzon's electric violin dominating, especially on "Surreptitious Soliloquy" and the kinda-sorta title track "Exuberance, in the Face of Utter Anguish and Despair." "Sun Goes Down," the album's only vocal piece, featuring Luba's singing, was included in the indie film What's Up, Scarlet? and wouldn't sound out of a place in a smoky nightclub around 1 a.m.
Exuberance was recorded with all three musicians in one room, playing live with no overdubs or fancy production. You can't really hear the rawness over the professionalism, but you know it's there. Sometimes sparse, but always engaging, these 13 songs should please long-time fans of the trio and Deninzon's rock band Stratospheerius, as well as newcomers.